Ingenuity and innovation continue to evolve in the motoring world, especially when it comes to safety technology. Whether a driver frequently flies solo out on the road or has loved ones in tow, state-of-the-art safety features are highly desirable amenities among new vehicles. When it comes to protecting onboard passengers, the Honda brand has the market cornered with a lineup of some of the safest cars on the road. Six currently available 2016 Honda vehicles have been honored by the Insurance Institute for Highway Safety for their outstanding performance in crash tests. Various advanced safety and driver-assist features put the Civic in the spotlight as one of the safest 2016 vehicles available, such as its standard Brake Assist, multi-angle rearview camera, Hill Start Assist Control, Vehicle Stability Assist with Traction Control, and Tire Pressure Monitoring System. Various outstanding available safety features include Lane Departure Alert Warning, Forward Collision Warning, a Collision Mitigation Braking System, and a Road Departure Mitigation System. The 2016 Honda Accord coupe and sedan models have been honored as IIHS 2016 Top Safety Pick+ designees in the “Midsize Moderately Priced Cars” category. * Additionally, the 2016 Accord models have received 5-Star Safety Ratings from the National Highway Traffic Safety Administration,** which is the highest rating granted by that organization. The Accord’s various advanced, standard safety features include a multi-angle rearview camera with dynamic guidelines, Brake Assist, Vehicle Stability Assist with Traction Control, electronic brake distribution, and a Tire Pressure Monitoring System. Cutting-edge available safety features include Lane Departure Warning, Forward Collision Warning, a Collision Mitigation Braking System, and a Road Departure Mitigation System. State-of-the-art safety features onboard the CR-V include Vehicle Stability Assist with Traction Control, Brake Assist, Electronic Brake Distribution, a multi-angle rearview camera with guidelines, and a Tire Pressure Monitoring System. 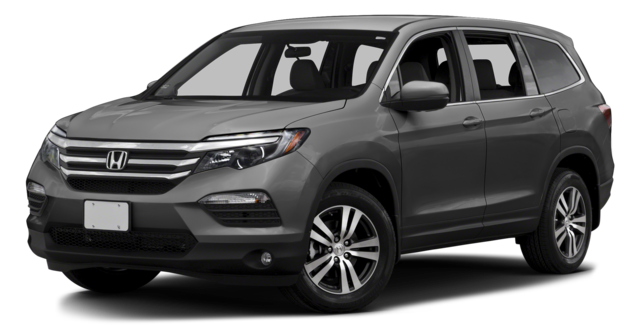 Exceptional safety features offered standard onboard the Pilot include Vehicle Stability Assist with Traction Control, a Tire Pressure Monitoring System with Tire Fill Assist and location and pressure indicators, a multi-angle rearview camera with guidelines, electronic brake distribution, and Brake Assist. Available safety features include Forward Collision Warning, a Collision Mitigation Braking System, Lane Departure Warning, and a Road Departure Mitigation System. Passenger-protecting safety features offered in the Odyssey include active head restraints for the driver and front passenger, Vehicle Stability Assist with Traction Control, a Tire Pressure Monitoring System, a rearview camera with guidelines, electronic brake distribution, and Brake Assist. Ready to Go for a Drive? Experience firsthand these outstanding Honda models at any Mid-Michigan Honda Dealers location. Visit or contact one of our affiliated dealerships today to take a test drive aboard any or all of these exceptional vehicles. Discover the value of highly rated safety for yourself! **Safety matters most, and the 2016 CR-V, Accord, Fit, Odyssey, and HR-V earned top marks with a 5-Star Overall Vehicle Score from the National Highway Traffic Safety Administration (NHTSA). Government 5-Star Safety Ratings are part of the U.S. Department of Transportation’s New Car Assessment Program (www.safercar.gov). Model tested with standard side airbags (SAB).